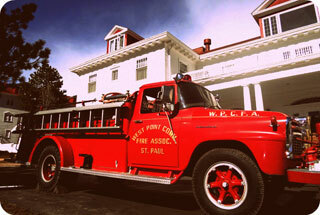 Set to open in fall, 2011, the museum will initially feature multiple historic fire engines with tour rides around Estes Park, Colorado and the surrounding area. In addition to the fire engine tours, the Hotel and Steam Car Museum will continue to offer our ghost and history tours that take guests throughout out grounds and buildings – including the Hotel and the Concert Hall. This hour-and-a-half-long tour is scheduled multiple times per day throughout the year. 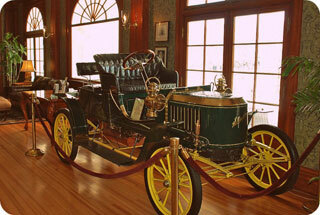 Phase II of the museum is planned to open in 2011 and will include multiple Stanley Steam Cars ranging from two-passenger production models, an 8-passenger Stanley Mountain Wagon and even a steamer Fire Engine! The museum will be housed at the historic Stanley Hotel in the Carriage house on the east end of the Stanley Hotel property.